We are committed to offering our customers the highest level of customer service, which is why we are thrilled to be an honored recipient of the FCA Customer First Award for Excellence. Prices plus government fees and taxes, any finance charges, any document preparation charge (80.00), any electronic filing charge (15.00) and any emission testing charge are not included in the price of the vehicle. All prices and specifications are subject to change without notice. While great effort is made to ensure the accuracy of the information on this site, errors do occur so please verify information with a customer service rep. This is easily done by calling us at (855) 604-0413 or by visiting us at the dealership. 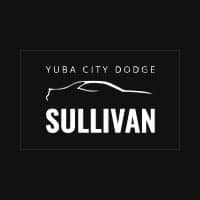 John L Sullivan Dodge Chrysler Jeep Ram	39.140554, -121.6568672.